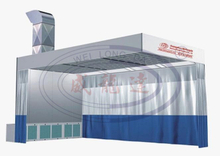 Spray Booth, Car Painting Line, Automotive Paint Booth, Car Baking Oven, Car Painting Room – China Manufacturer-Guangzhou WeiLongDa Electromechanical Equipment Co., Ltd.
from welding to painting, from the product's factory assembling to packing and loading. all kinds of industrial products. Provide An Ideal Working Environment For Spray Painting. 18000㎡ factory built by ourself, big production,fast delivery,good location for export convenient. 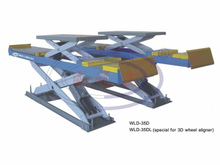 Professional design and develop team, 90% team members have undergraduate degree and rich experience, reasonable and scientific design,safe and reliable. Various production machines equipped. Most of workers have been working in WeiLongDa longer than 8 years. Strict quality check before products entering warehouse. Professional domestic and export team,answer and solve all kinds of questions for you,providing suitable solutions for your project. Professional installation team and after-sales system,sort out your worries and concerns. Integrity Enterprise, guide by market demand; Take clients’ demand as objective, provide high products and service for clients. 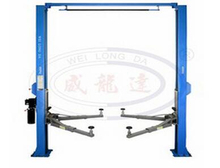 Guangzhou WeiLongDa Electromechanical Equipment Co., Ltd., which established in 2000, is one of the first and largest automobile care and maintenance equipment manufacturers and suppliers in China. 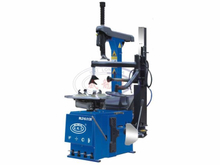 Covering more than 18,000 square meters,it manufactures spray booths,preparation stations,auto lifts and supplies body repair systems, wheel alignment,tire changer,wheel balancer and other relevant garage equipment to the clients all over the world. Quality First, Service Highest is the policy carried by all WeiLongDa members. Quality and safety control system is applied throughout the whole produce procedures, from design and the raw material purchasing to parts fabrication, from welding to painting, from the product's factory assembling to packing and loading. Congratulate that WeiLongDa has got the Certificate of Transportation Product Certification which issued by China Classification Society. We congratulate that WeiLongDa company has achieved great sucess in 2018 Shanghai Frankfurt Auto Part Exhibition! Automotive Car Painting Booth In Sweden. 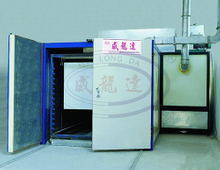 This downdraft spray booth has water solution system,therefore,it can be used for both normal paint and water solution paint. How To Measure The Suitable Humidity Inside Spray Paint Room / Environmental Spray Paint RoomAbstract: The wet spray booth can be used without any restrictions on the site to reduce the investment in painting and baking. Q How About The Production Time? A Normally speaking,we can finish the production within 7-10 days. If the product is customized,it needs more time for production. 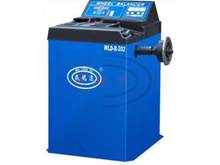 A Guangzhou WeiLongDa Electromechanical Equipment Co., Ltd., which established in 2000, is one of the first and largest automobile care and maintenance equipment manufacturers and suppliers in China. 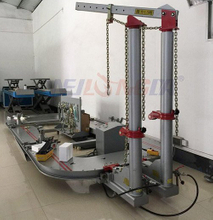 A WeiLongDa manufactures spray booths,preparation stations,auto lifts and supplies body repair systems, wheel alignment,tire changer,wheel balancer and other relevant garage equipment to the clients all over the world. Add : Dongxiu Road, Gangkou Industrial Zone, Xinhua Town, Huadu District, Guangzhou, China.